A high deductible health plan (HDHP) is a type of health insurance plan that has a higher annual deductible and a limit on out-of-pocket expenses. HDHPs are commonly used with healthcare accounts such as Health Savings Accounts (HSAs) or Health Reimbursement Arrangements (HRAs). Here are five things to know about HDHPs. 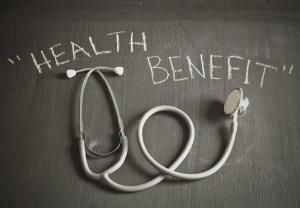 The first thing to know about HDHPs is that they have a higher annual deductible than a typical health insurance plan. What is a deductible? The deductible is the amount you must pay for covered services before your health insurance begins to pay. Second, HDHPs tend to have a lower premium cost because you, the consumer, are generally paying for more out-of-pocket expenses through a higher deductible. Health insurance premiums, are the amount you pay to the health insurance company each month (or quarter) to maintain your coverage. Third, one advantage of HDHPs is that they can be paired with healthcare "accounts" such as Health Savings Accounts (HSAs) or Health Reimbursement Arrangements (HRAs). For example, to open an HSA, you must have an HDHP that meets certain annual deductible and out-of-pocket expense limits. These guidelines are set each year (see 2015 HSA guidelines here). An HDHP and HSA can be offered by an employer. Or as an individual, you can purchase an HDHP directly and set up an HSA on your own. With an HRA, an employer can offer an HDHP paired with an HRA. The HRA (in this case an "Integrated HRA") is set up to reimburse employees for their deductible and/or out-of-pocket medical expenses. Fourth, if you are purchasing an HDHP through your Health Insurance Marketplace (or off the Marketplace through a broker), know that HDHPs cover preventive care and essential health benefits. This means that core services such as preventive care, hospitalization, maternity, prescription drugs, and lab services are all covered under your HDHP. Read more: What are the 10 Essential Health Benefits? Lastly, as more consumers look to balance the cost of health care, and as more employers adopt consumer-driven healthcare, HDHPs are rising in popularity. HDHP plans increased from 4% of all employer-sponsored health insurance plans in 2006 to 20% in 2013. What do you think you need to know about HDHPs? Have a question? Leave a comment below.